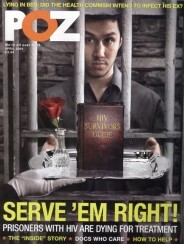 It’s well known that the Southern United States is ground zero for our country’s HIV epidemic. 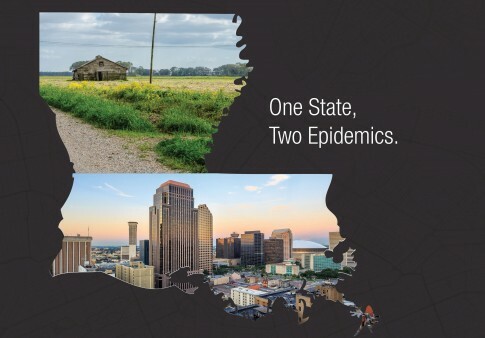 But a new report out of Louisiana makes the case that we need to better understand the HIV/AIDS epidemic in rural versus metropolitan communities. According to the report—titled “HIV/AIDS in Metropolitan vs. Rural Louisiana: One State, Two Epidemics”—more than 15 percent of Louisianans living with HIV currently reside in rural regions. Using data from the state’s Department of Health and other sources, the report looks at risk factors for HIV—including stigma, racial disparities, education, poverty, incarceration and rates of sexually transmitted infections (STIs)—and examines how they compare in rural and metropolitan areas of the state. Perhaps not surprisingly, the data show that compared with the metropolitan areas of New Orleans and Baton Rouge, the rural area of northeastern Louisiana has fewer HIV resources. For example, the rural region has one Ryan White HIV/AIDS medical care provider while the two cities have six and four, respectively. More people diagnosed with HIV in the rural region (27 percent) also received an AIDS diagnosis at the same time compared with 18 percent of those in New Orleans and 22 percent of those in Baton Rouge. People in rural areas were also more likely to develop AIDS within a year of their diagnosis. Similarly, those living with HIV in the rural northeast region were less likely to achieve viral suppression. Founded in 1995 with initial funding from the Office of Women’s Health, Heroes is a nonprofit that assists people living with and affected by HIV in the rural South. You can read more about Heroes and its programs on HeroesLA.org. And you can download the full report here.